What Does Quantified-Self Mean for the Office? Tracking our fitness behavior has never been easier with the rise of wearables like Fitbit, Jawbone Up and Nike Fuelband. These devices allow people to be aware of their overall daily health by keeping track of activities like steps, stairs, sleep, and water consumption. Some wearables track heart rate and deliver tips on living a healthier life through a corresponding smartphone or desktop app. Some even track heart rate and offer health tips displayed on a mobile app that are based on your recorded activity. This is the era of the “quantified-self,” which is the concept that these devices help us become more health conscious by automatically recording our daily activity. The idea is that the more we know about ourselves, the healthier we can be. Most think of quantified-self movement as something for our personal lives. But it turns out that wearable technology can be very useful for offices that want to reduce health-care claims, increase productivity and even help build a better company culture. Most employee wellness programs suffer from being stuck in the past. When they were first introduced in the early 2000s, dreams of lower health care claims put smiles on the faces of executives. However, what ended up happening is that the programs required employees to manually log their activity. It’s hard to remember to do that. The manual logging ended up being a barrier to participation. Plus, the value to the employee wasn’t there to keep them motivated to participate. Adding wearables could automate this process and offer a better experience for everyone. Imagine if an employee walks into an on-site gym wearing one of these devices. He stays for an hour and comes back to work out three more days. Employer could see that he has “check-in” to the gym three times that week and offer him a discount for lunch at a nearby spot thus rewarding him for his effort to stay healthy. He trips to the gym are automatically logged for the employer. Beats out having to get your fitness trainer to sign a form, right? Offices already offer experiences like this, and it will be even easier to create these experiences with the Robin platform. Robin picks up Bluetooth signals from the wearable device and feeds data into the platform. These signals broadcast an employees presence in a space, answer questions like “who went to the corporate gym the most this month?” Companies can use this information to reward frequent gym goers and encourage employee wellness. If employee wellness programs did one thing right, it was proving that health conscious employees do in fact lower health care claims. In fact, a recent study from Harvard discovered that medical costs fall about $3.27 for every dollar spent on wellness programs, and absentee day costs fall by about $2.73 for every dollar spent. Now we must overcome the unnecessary paperwork and make it easier for employees to hit the gym, eat healthy, and get a good night sleep – all being tracked with devices and sensors. While a healthy workforce is valuable in and of itself, it can also lead to more productivity in the office. Your engineering team is not delayed on a new software update because the team was working and not out sick. 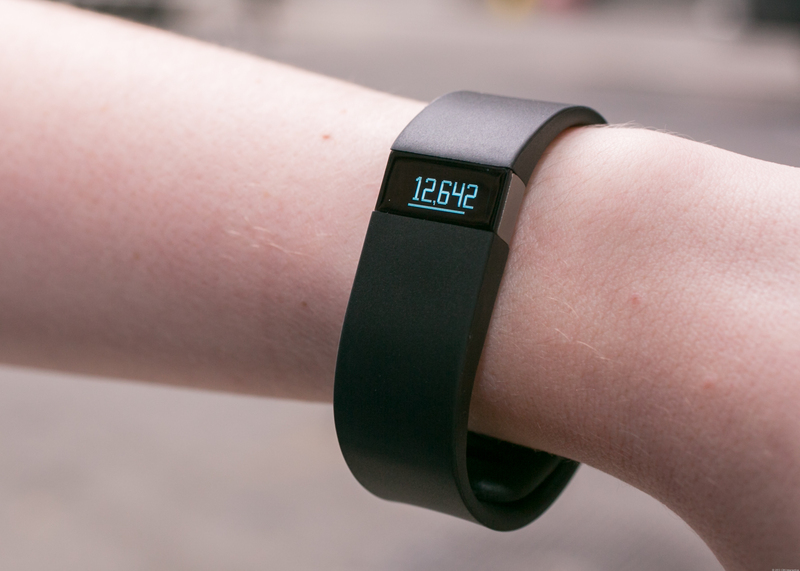 Healthy employees increase company profits, and wearables make it easier to get healthier. What CEO would not want that? We’ve all heard companies tell us to take the stairs over the elevator, walk around the building at lunch time, ride your bike to the office, etc. There are ways to deliver this message to make it a lot more motivating, though. Some of these devices like the Fitbit using Bluetooth to wireless track your movement, sending the information to your phone in real-time. The same information could be used to create an office leaderboard of most active employees or departments. People will start paying attention to the display in the break room now. Forward-thinking companies have started to embraced employees bringing their own devices to the workplace. This movement (abbreviated to BYOD) is not limited to computers and tablets. Take a poll of employees already using wearables in their personal lives. I bet you’d be surprised by the number. Encourage them to use it at the office too. Technology and workplace wellness share the same benefit of trying to improve our lives. Up to this point, the initiatives to participant in a program lacked a value to the overall workplace environment – it was for personal gain. Now devices and sensors help us design programs to not only save money and make people healthier but also improve morale and workplace camaraderie.